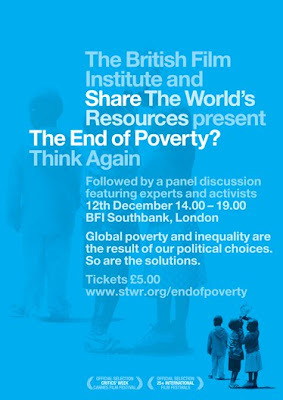 The award winning film The End of Poverty? Think again, by Philippe Diaz and featuring a galaxy of critics of the orthodox economic policies of the past thirty years, will be screened on 12th December 2009 at the British Film Institute. Voiced over by Martin Sheen, and with commentary by Amartya Sen, Susan George, Joseph Stiglitz, William Easterly, and many others including TJN's John Christensen, The End of Poverty? explores the roots of inequality and poverty going as far back as the conquest of the Americas in the 16th century, and explains how the looting of resource-rich countries is sustained by policies designed for that very purpose - including the tax consensus imposed on poorer countries since the 1980s which shifted the tax charge from businesses and rich people onto middle and low income households. Irene Khan - Amnesty International’s seventh secretary general and has taken the helm as the first woman, the first Asian and the first Muslim to guide the world’s largest human rights organisation. She is the author of the recent Amnesty publication ‘The Unheard Truth – Poverty and Human Rights’, which represents Amnesty’s new focus on global poverty. Clare Short MP - Secretary of State for the UK Department for International Development from 1997 to May 2003. DFID was a new ministry created after the 1997 general election to promote policies for sustainable development and the elimination of poverty. She is currently the Independent Labour MP for Birmingham Ladywood. John Hilary - Executive director of War on Want, a charity that fights poverty in developing countries in partnership with people affected by globalisation. He has worked for the past 20 years in the international development and human rights sector, and is a recognised expert in many fields across the global justice agenda. Colin Prescod has worked in film, television, theatre and academia. He is chair of the Institute of Race Relations in London, and a member of the editorial working committee of the international journal ‘Race and Class’, as well as chair of the Association for Cultural Advancement through Visual Art (ACAVA). Philippe Diaz is the award-winning producer and director of ‘The End of Poverty?’. Having attained international acclaim for many of his productions since the 1980s, he established Cinema Libre Studio in 2003 with a consortium of partners as a vehicle for intelligent, independent films to be financed, produced and distributed. Amongst the many unethical practices that go against the grain of natural justice, the activities of vulture funds chasing governments of impoverished countries for repayment of odious debts run up by past dictators and suchlike rank are truly repulsive. Especially so, when the country in question has been ravaged by war, pillaging, looting and civil strife, which was at least partially funded by external debt in the first place. But there are other reasons for regarding the activities of vulture funds as unacceptable. And one of them is the fact that these funds typically operate behind a veil of corporate secrecy which prevents anyone from know who operates them and who benefits from these operations. TJN does not oppose a secondary market in debt, but we think that all markets should be operationally transparent: when courts allow vulture funds to operate behind the veil of secrecy they open up possibilities for corrupt practices, including tax evasion. Who can tell whether the people behind the vulture fund weren't involved in profiting from the original loan? An article in the Independent this weekend reveals that the British High Court has ordered the Liberian government to pay US$20 million to two vulture funds, or face seizure of assets held in the UK. The two funds in question are based in the British Virgin Islands and the Cayman Islands. The funds trace back to a US$6 million loan advanced by the US-based Chemical Bank in 1978. Disturbingly, the debt has been shuffled around since that time to such an extent that no one is able to say how much interest has been paid on the principle, and whether any of the principle was repaid between 1978 and 2009. Liberia ranks as second poorest country on the face of the planet. Interestingly it is also ranked as a secrecy jurisdiction, though this has not in any way helped the ordinary people of Liberia, especially since the ship registry for which the country is famous actually operates from a law firm in Virginia, U.S.A.
Everything about the case is shameful, not least the fact that British High Courts allow the vultures to operate behind the veil of corporate secrecy. At the very least, those who engage in distasteful activities should be compelled by the courts to reveal their true identity. "the world's financial markets seem shocked and surprised, like Bagpuss being disappointed to learn that the mice from the mouse organ couldn't really create an endless supply of chocolate biscuits from thin air." The article, even if it doesn't add much to the sum of human knowledge, is worth reading for entertainment value alone. How secretive is Dubai? Take a look here. 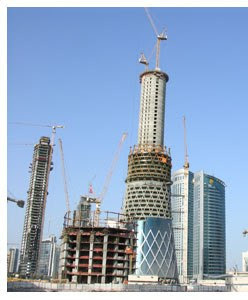 TJN's John Christensen was in Doha recently. He found it intriguing how -- just as in Dubai - there were all these tower blocks under construction, towering over the place (see picture). He spoke to someone attached to a Qatari development agency, and asked him "do you have tenants?" The answer came: they weren't enormously concerned about obtaining tenants at that stage - property prices were escalating so fast and tenants tended to detract from the value of the properties! Christensen also spoke to somebody back in London who was deeply involved in putting together structured finance packages for property developments around all the United Arab Emirates, almost invariably routed through tax havens. A shaky set of packages, it seemed, although note that Qatar, being backed by vast gas reserves, is a very different place from Dubai. "Regulators are keen to see living wills prepared for all systemically important financial groups, but the concept has split the banking world, with the more complex groups arguing that such documents will be almost impossible to draft without knowing the cause of any future crisis." in the past few decades, the largest banks in the world have stealthily built corporate structures that are fiendishly complex, straddling numerous borders and plagued with offshore entities. Lehman Brothers was but one example of that. The pattern, of course, is no accident. After all, large investment banks excel in regulatory and tax arbitrage, and all that cross-border complexity and opacity enables them to exploit such loopholes with ease." It is good to see that the "living wills" proposal has legs, and seems to be moving forwards. Although not overtly an anti tax haven initiative, the living wills proposal is, at the day's end, just that, though dressed up in different clothes. It won't be an easy ride to get a meaningful version of this proposal pushed through: just think of all that lobbying money and muscle bristling in the wings, ready to eviscerate and weaken such proposals as they emerge. Hong Kong is one of the most beautiful cities in the world with its name meaning "fragrant port," but there is a smelly part of the city ― the tax evasion base for Koreans. . . Brokers in Hong Kong have provided schemes for offshore tax evasion. They even provide customer-specialized schemes on how to hide corporate and slush funds in the tax haven," Park Yun-jun, assistant commissioner of the National Tax Service (NTS) said." "The official admitted that many cases occurred in the city, but there was a limit to investigations because Hong Kong refuses to exchange information on taxation with Korea." Hong Kong: fragrant or stinking? You decide. "In the war on drugs the most powerful ammunition law enforcement has is information. Whoever calls the shots is usually the same person who sits atop the money pyramid and while law enforcement may know who these persons are, they have a much more difficult time proving guilt and securing convictions. One such practice is company formation. . . . these U.S. corporate entities serve as fiscal engines for some of society's worst crimes"
TJN has just visited the offices of what is probably the largest of these company formation agents. An extraordinary place. We'll bring you more on this in due course. Update: the answer seems to have been supplied in the comments. A non-event, in the end. "Ahead of December 2’s ECOFIN meeting of European finance ministers, at which political support for changes to the EU Savings Directive will be sought, Josef Pröll (Austria's finance minister) is said to have demanded action against trusts, and singled out the Channel Islands in particular for being responsible for helping mask the identity of settlors – those who set up the trusts – and therefore evade taxes." When it comes to secrecy, Austria is a fine one to talk. But we don't disagree with Pröll here. Trusts are vastly important, and in many cases vastly pernicious. Read more about trusts here. And read more about Austria's Treuhands here. The G20: a club of gate crashers and insiders' intrigues? "Spain, the world’s ninth largest economy, was left out, but it barged into the Washington summit last November. Holland just decided to join, and no one stopped it. After all, its economy is much larger than that of Argentina, a G20 member. An international community based on the principle of gate-crashing deserves no respect." "Nor does the G20 possess agreed rules of governance. At the London summit last April, complaints abounded that actual decisions were based on the intrigues of the leading insiders, excluding at least half the G20 countries. That is the natural outcome if aggressive political leaders are let loose without rules." Indeed. The G20 can play a role. But treat it with caution and skepticism. Just like haven? Why does the European Investment Bank route its funding through tax havens? "Its secretariat fails to push or fund its human rights unit as a viable mechanism to encourage its members to comply with international standards; neither the secretary-general nor the diplomats of leading member states make a serious effort to get the Commonwealth to act collectively at the UN and elsewhere to champion human rights." This is important and Porteous argues his case robustly but with the appropriate degree of diplomacy. Tax Justice Network would like to come at this issue from another angle: the Commonwealth is also a haven for the majority of the world's secrecy jurisdictions (generally known as tax havens). Far from taking action to curtail their harmful practices (and let's not forget that many of the victims of secrecy jurisdictions are the ordinary people of Commonwealth member states) the Commonwealth secretariat actively participates in organisations lobbying on their behalf. This includes the International Trade and Investment Organisation, the latter having been created specifically to counter the efforts by the OECD to counter harmful tax competition. The Commonwealth's involvement in this organisation, and its lobbying efforts on behalf of secrecy jurisdictions more generally, is nothing short of scandalous. Time after time, TJN's observers at UN events have witnessed Commonwealth member states actively engaged in blocking international efforts to strengthen cooperation in tackling corrupt tax practices. Such behaviour is wholly inconsistent with the idea, recently expressed by Lord Howell, former chair of the British parliament's foreign affairs committe, that the Commonwealth has a role to play as an "ideal soft power network" for the 21st Century. Britain and the collection of states and dependencies formerly known as the British Empire, are collectively responsible for around one-third of the global market in cross-border financial services. A significant part of this cross-border trade involves illicit flows, largely routed through structures created in secrecy jurisdictions. These illicits flows devastate the efforts of countries aiming to achieve self-reliance and tackle poverty. There is a direct link between the corrupt practices of secrecy jurisdictions and the human rights abuses in the countries of origin of the illicit funds. In this respect the Commonwealth has a major role to play in engaging constructively with its members to address their shortcomings and take action to diversify their economies away from dependence on secretive offshore financial services. 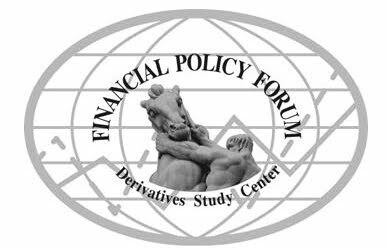 Secrecy has no useful role in the modern world of globalised financial markets. The activities of secrecy jurisdictions are harmful to the vast majority of countries and people. They encourage and facilitate corrupt practices. They support the kleptocrats and business elites who abuse human rights and undermine undermine respect for democracy and the rule of law. Their activities are incompatible with the core values of the human rights agenda. The Commonwealth must urgently get its own house into order. Another day, another report into the financial crisis by a banking industry insider. Sir David Walker's report, published today, is the third in a series of reports to the British government into the banking crisis that literally brought financial capitalism crashing down in the Autumn of 2008. Walker is a City grandee, a former Treasury and International Monetary Fund official, a former regulator and director of the Bank of England, and a former chairman of the investment bank Morgan Stanley. In other words, the epitome of what the British like to call "a safe pair of hands" [Brit-speak for someone who can be counted on to avoid doing anything that might alter the status quo]. Try as you might, you will find no trace of Walker having at any stage in the years building up to the crash raised an alarm about the structural deficiencies in the financial architecture. He is not alone in this: Walker's lack of insight was shared by almost the entire community of "talent" that is the financial services industry, including the majority of board directors, risk managers, credit rating agencies, financial journalists, fund managers, regulators, auditors, and last but not least politicians like London Mayor Boris Johnson who continue to fail to see that what is good for bankers is not necessarily good for the public interest. David Walker's lack of prescience in foreseeing the financial crisis is reflected in his report, which can only be described as weak, weak, weak. Commissioned by British Chancellor of the Exchequer Alistair Darling, the Walker report follows earlier reports by Sir Win Bischoff - former chair of failed Citigroup - and by Robert Wigley, chair of the European division of Merrill Lynch. The former report was commissioned by Alistair Darling, the latter by Boris Johnson. All of these reports can be characterised as distractions, the latter in particular being nothing more than a public relations exercise for and on behalf of banking interests. Boris Johnson's agenda was to retain the "competitiveness" of the City of London. Readers familiar with financial Newspeak will know that the word "competitiveness" used in the context financial services, has no relation to the word "competitiveness" as applied to the world of microeconomics. Bankers do not compete by charging lower fees or providing better service to their customers: instead they compete by pushing governments for lax regulation and tax breaks. Decades of regulatory degradation and market distorting tax subsidies, have led to a situation which encourages excessive debt leveraging, regulatory arbitrage and tax avoidance. Don't take our word for it: here is what the IMF reported in a little explored report they issued in June 2009. Needless to say, none of the banking grandees asked to report on the crisis have so much as even referred to the IMF's concerns, let alone called for a broader investigation into the issues raised by the IMF. The Walker report is merely a distraction and a wasted opportunity. It epitomises so much of what is wrong with contemporary politics: rather than address the fundamentals -look out guys, there's another iceberg ahead - an insider is appointed to check the layout of the deck furniture. In our opinion, this failure of political will to properly investigate the roots of the crisis, addressing amongst other issues the conclusions of the IMF report on debt bias and other fiscal distortions, makes another crisis almost inevitable. Readers looking for a more incisive explanation of the crisis, and some trenchant recommendations for the way forward, are advised to ignore the Walker / Wigley / Bischoff reports and head straight for the dog which has barked, which you will find here. A judgement by Swiss judge Yves Aeschlimann looks set to cast another shadow over the cosy world of lawyers, bankers, accountants et al who operate from secrecy jurisdictions to provide support services to dodgy clients. The Financial Times reports that M. Aeschlimann, a magistrate in Geneva, has fined an unnamed Monaco-based intermediary who helped Abba Abacha, son of the former dictator of Nigeria, to launder his gains from "participation in a criminal organisation." In addition to the fine, the intermediary has also been ordered to pay SFr10 million (€6.6 million)- the value of fees charged for acting as a fence to Mr Abacha jnr. - to the canton of Geneva. According to the FT, this move "marks a further step in international efforts to tackle theft by corrupt rulers by going after intermediaries as well as principals." Switzerland is gaining itself a reputation for taking a lead in tracking down and repatriating embezzled funds. This latest move will set a legal precedent that should cast a chill in the bones of a wide range of intermediaries, including lawyers, trustees, fiduciaries, investment companies, accountants, and bankers who until now have been all too willing to act the 'wilfully blind professional' in return for massive fees and charges. The FT also reports that another financier accused of helping Gen Abacha to launder cash through the British Channel Island of Jersey has been arrested and is expected to stand trial. As mentioned, TJN blogging will be a bit lighter for a week or so, for travel reasons. We have already blogged statements by Carl Levin, expressing deep disappointment with the details of the UBS-US-Swiss deal; and a response from GFI. If some of the details may have seemed difficult to get to grips with, this brief video involving Jack Blum, Chairman of TJN-USA, puts the whole thing in wide perspective, in clear and simple terms. Part of the transcript (of Jack talking - Jesselyn Radack is worth listening too) is provided below. "(Tax havens and tax evasion is) not new. What's new is how easy it became because of the web and the extraordinary sales efforts of large numbers of international financial institutions. . . It typically doesn't require a lot of machination by the individual. There are sales people for these banks, some as we know from the UBS case plied the U.S. vigorously looking for customers. Once they find the customer they set up all the necessary machinery to move the money out of the country and hide it offshore. UBS got caught and we saw the machinery in operation and they held these events: yacht races, art festivals, and they'd bring their salesmen to connect with very rich people. UBS itself said we're talking about $20bn in assets on which they were earning fees of $200m a year. And the irony of all this is that they made more money over the years involved than they paid in fines. So they were net ahead on this business. The further irony is that the amesty was so set up so that it only looked back six years; some of these customers had been doing it for 20 years and had never paid tax on the money originally earned that went into the account. They came out net ahead after paying penalties and (?) 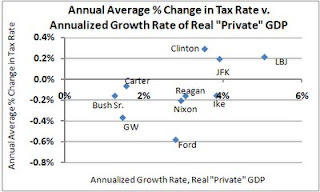 taxes on the past six years." "The really surprising part of his story is that while this was going on, the Federal Reserve bailed out UBS! UBS was in the hole $86bn on bad dealing in US mortgage backed securities. UBS went to the Swiss National Bank and said unless we get a big pile of money - in this case i think it was $50bn or more - we're out of business. The Swiss then came to the Fed and said we need dollars to take care of UBS' problem. The Fed said 'no problem, we'll give you a swap line, unlimited, at the current exchange rate.' That bailed out UBS. No conditions, no turnover of the 52,000 names. Here we are, one central bank to another - at the minimum they should have said '52,000 names - or you can go to the dustbin of banking history.'" There you have it. It's nothing short of a scandal. But watch the whole thing: there's more in there, such as the U.S.' shabby treatment of whistleblowers. The latest edition of The American Interest has a long and important article called Bank Shots, which consists of a long interview with Jack Blum, chairman of TJN-USA. "Liechtenstein reports having 161 billion in Swiss francs (equal to about $158 billion at current rates) on deposit in 2006. The Bahamas reportedly has about $200 billion in deposits. By contrast, the Cayman Islands boasted that it had over $1.9 trillion on deposit as of September 2007. . . . Total deposits in the Caymans now amount to four times the total deposits in all the banks in New York City. Now, most Americans, I think, would be amazed at numbers like these, despite having become a bit jaded by the large bailout sums disbursed over the past year or two. How did these numbers get so large? Is this an old problem that has lately gotten much worse, and if so why?" "There’s no way to make sense of the offshore problem without getting your head around the numbers you mentioned. And those numbers leave out financial assets held by corporations and trusts. Trying to understand the role of offshore secrecy and regulatory havens in the financial crisis is like the problem a doctor has treating a metabolic disease with multiple symptoms. Diabetes, for instance, causes high cholesterol, high blood pressure and all sorts of other problems. You can treat several symptoms and still not cure the disease. Similarly, there are plenty of discrete aspects of the meltdown to talk about and many possible treatments for symptoms, but offshore is at the heart of this metabolic disorder. Its roots reach back decades, in bankers’ attempts to escape regulation and taxation and make banking a highly profitable growth business that mimics the industrial economy." TJN has (obviously) seen the full article but this blogger doesn't have it to hand right now; suffice to say that it's very worth getting hold of if you can. "The harsh reality is that most states require their poor and middle-income taxpayers to pay the most taxes as a share of income; middle- and low-income non-elderly families pay much higher shares of their income in state and local taxes than do the very well-off." "Ten states-Washington, Florida, Tennessee, South Dakota, Texas, Illinois, Michigan, Pennsylvania, Nevada, and Alabama-are particularly regressive. These "Terrible Ten" states ask poor families-those in the bottom 20% of the income scale-to pay almost six times as much of their earnings in taxes as do the wealthy. Middle income families in these states pay up to three-and-a-half times as high a share of their income as the wealthiest families. 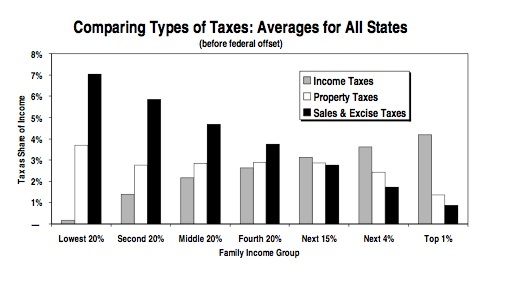 'Virtually every state has a regressive tax system," noted Gardner. "But these ten states stand out for the extraordinary degree to which they have shifted the cost of funding public investments to their very poorest residents.'" 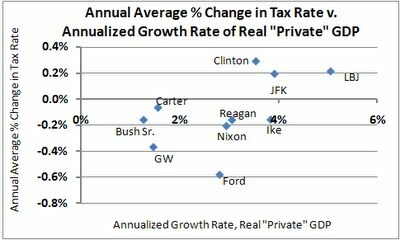 The study does not mention tax competition but there can be no doubt at all that it is at play, wreaking terrible effects. Michael McIntyre, a leading U.S. tax expert who recently testified how automatic information exchange is becoming the emerging global standard, has now made available on his website an excellent and detailed article entitled How to End the Charade of Information Exchange (no link, but his own website offers this piece) which he published in Tax Notes on October 26, highlighting the deep flaws in current information exchange schemes and proposing a way forward. "One of the key tools for combating tax haven abuses is supposed to be an effective exchange of information. The G-20 countries, at their April 2009 meeting, declared that countries that refuse to meet the international standard for effective information exchange would be blacklisted and subject to sanctions. So far, the blacklist has been a sad joke. 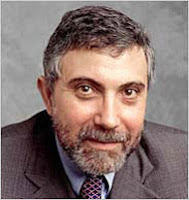 The OECD also has a gray list, and that list is also a joke." 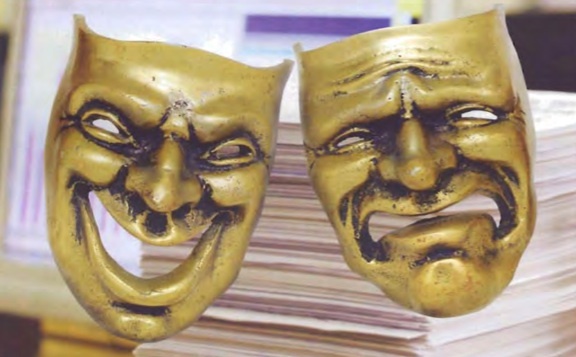 "The view is widely held that the OECD TIEA is ineffective — not nothing, but not much. Tax haven countries that agree to this ineffective TIEA are provided with an undeserved patina of respectability. They have been eager to sign up, and most have done so. . . I do not mean to condemn the G-20 and the OECD for promoting a TIEA with limited effectiveness. In international politics, brazen hypocrisy is sometimes a useful tool for good." "I believe that the agreement is nearly useless as a device for ferreting out a significant number of American tax cheats operating out of Switzerland." But along with the opinions, there is real meat buried in this article. Notably, in Appendix A, he has prepared his own model TIEA, and in Appendix B, he provides a detailed comparison between his TIEA and the OECD's model TIEA. The alternative TIEA is here. Following the excellent statement of Senator Levin on the US-UBS-Switzerland deal, Global Financial Integrity has prepared its own statement. Click here. "federal law enforcement officials believe that “most if not all” of his wealth comes from corruption related to the extensive oil and gas reserves"
"While Congress has debated legislation to reform Wall Street, the financial services industry has showered members of the Senate and House banking committees with about two and a half times as much money, on average, as other members of Congress, according to a new Public Citizen report." "Complicity by powerful nations in some controversial aspects of offshore finance has invited scepticism about politicians’ determination to stamp out evasion. John Christensen of Tax Justice Network, a campaign group, says that “nothing short of a political movement comparable to the 19th-century anti-slave trade campaign will put an end to Britain’s dependence on dirty business”. "The financial centres that operate in the last remnants of the British empire face a bleak future, according to Rodney Gallagher, a veteran Foreign Office adviser." "Guernsey’s Mr Niven, recently returned from China, reports a positive reception in an Asia where offshore services are deemed to “oil the wheels” of financial centres rather than simply be the “pariahs” they are often seen as in the west." "Europe’s offshore centres are in turn marketing their wealth management services to the fast expanding number of rich Asian families." So the strategy is simple, really: implicitly subsidise Asia's rich, and let Asia's poor bear the burden. Would rich Asians want their accomplices in crime and abuse to become pariahs? Of course not. "The rich nations’ decade-old campaign for tax haven reform has grown from an attack on paradise islands into a broader assault on the corporate structures and regulatory practices worldwide that allow financial crime to flourish, writes Michael Peel. The altered global landscape was highlighted in a survey published last month by the UK’s Tax Justice Network campaign group, which suggested powerful countries were as culpable over illicit fund flows as the offshore centres they have attacked since the financial crisis began." "While it is good to know that 14,700 people have now disclosed previously hidden offshore bank accounts, the U.S.–Swiss Annex disclosed today, designed to compel disclosure of the names of U.S persons with Swiss accounts at UBS, is very disappointing. It complicates and muddies what should have been a straightforward agreement by UBS and the Swiss Government to disclose Swiss accounts hidden from the United States by U.S. accountholders. UBS admitted last year that it ‘participated in a scheme to defraud the United States’ out of tax revenue. Since then, UBS has been prohibited by its government from simply turning over the names of the 52,000 U.S. clients suspected of participating in that tax evasion scheme with UBS. Instead, the tortured wording and the many limitations in this Annex shows the Swiss Government trying to preserve as much bank secrecy as it can for the future, while pushing to conceal the names of tens of thousands of suspected U.S. tax cheats. It is disappointing that the U.S. government went along." 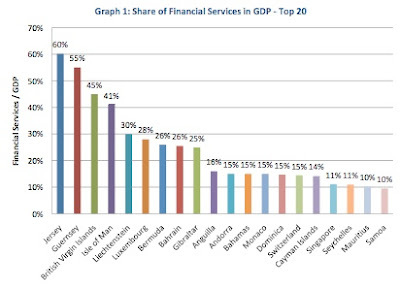 "a high share of financial services in the overall economic activity of a country is likely to indicate the presence of considerable political influence by the financial services industry on the government of the jurisdiction." "The Justice Department and IRS announced that over 14,700 taxpayers have come forward to report previously-undisclosed foreign bank accounts under the voluntary disclosure program the IRS implemented following the settlement. This figure represents almost double the initial numbers the IRS announced in October and dwarfs the number of voluntary disclosures received in 2008. "These efforts began in February 2009, with UBS AG’s agreement to enter into a groundbreaking deferred prosecution agreement, admitting guilt on charges of conspiring to defraud the United States by impeding the IRS. As part of the agreement, UBS immediately provided the United States with the identities of, and account information for, a number of U.S. UBS customers and paid $780 million in fines, penalties, interest, and restitution. To date, the Justice Department has successfully prosecuted six U.S. customers of UBS whose information was provided pursuant to the Deferred Prosecution Agreement, and is conducting investigations of dozens of other UBS customers. In addition to the deferred prosecution agreement, in August of this year, the IRS, the Justice Department, UBS and the Swiss Government, entered into a similarly landmark agreement, in the John Doe summons action, whereby the IRS was to receive thousands of additional undisclosed UBS accounts." For details on criteria and such terms as "tax fraud or the like" and "scheme of lies," see the details from Switzerland here and from the U.S. side here. Update: the details mean this is a great disappointment. Which is heartening, though not quite so heartening once we consider that the pro-offshore Conservative Party is likely to be in power by the middle of next year, with an attitude summed up neatly here. Hartnett talks his own book in this interview and pats himself on the back a fair bit - we know from our own contacts that he is much, much softer on corporations than the image he likes to portray -- but the interview is still well worth reading, for its assorted snippets. Among other things, he has served notices on 308 banks at home and abroad asking for details about foreign accounts held by their British customers. "He expects the amnesty and bank data will provide details of half a million offshore bank accounts. 'We expect 20pc of them to contain income gains or profits that should have been taxed,' he says. 'So arguably 100,000 people will have to make their peace with us.' . . . The pre-Budget review on December 9 is expected to announce a crackdown on tax." If properly followed through, which we'll believe when we see it, that will be a vast political issue. "The banks have three roles. They provide schemes for tax avoidance for others; they use avoidance themselves and they fund schemes." It is shocking that they have been allowed to - and continue to be allowed to - undermine our democracies like this. As if the interlinked economic crisis wasn't enough reason for them to feel ashamed. This may help, but much more is needed. The disks have been a goldmine of information, not all of it useful for HMRC. “There’s big bribes, very big bribes, money hidden by revolutionary leaders, people squirrelling away part of their income and professional people. They are going to be in pretty serious difficulty with us,” says Hartnett. And guess what? The Swiss have not been co-operating. "He is champing at the bit to gain access to the holy grail of tax havens. The Swiss gnomes, however, are masters of the art of secrecy and have only made modest concessions to representations from Hartnett and his international tax colleagues but another whistleblower has excited him with information about more secret bank accounts. “I can’t say anything more,” he says with a smile." Again, we await further developments with great interest. “The formation of a continental tax administration forum reflects a new approach and thinking on tax in Africa,” said Allen Kagina, Commissioner General Uganda Revenue Authority. She added that it is a significant move away from dealing with tax collection in a purely technical or administrative manner, to a deeper understanding of the role of taxation in state building. She noted capital flight, presence of tax havens and the continent’s dependence on foreign assistance and indebtedness as some of the most pressing issues of the revenue sector. “Billions of dollars leave the African continent each year. Between 1961 and 2004, these outflows are estimated at around 7.6 per cent of the annual GDP of the region and in effect make African countries net creditors of donor countries,” Kagina said." "Switzerland will release the criteria used to turn over details of 4,450 UBS AG accounts to the Internal Revenue Service tomorrow, revealing the U.S. model for chasing tax evaders in other banks and jurisdictions. There may be as many as a dozen criteria, including accounts containing more than 1 million Swiss francs ($988,000) and those set up through structures such as foreign trusts or foundations, said William Sharp, a lawyer at Sharp & Associates in Tampa, Florida, based on the profiles of clients who were told their account details may be turned over. Sharp said the IRS is using this template to pursue banks in other countries, adding that Hong Kong, Singapore and Dubai are already under scrutiny. We await more information with interest. Update: Switzerland has now published the criteria, here. The Lib Dems are also demanding action before the election. Lord Oakeshott, the party's treasury spokesman, said: "Democracy is in danger if Lord Ashcroft has been pouring millions into Conservative campaigns through an offshore pipeline from a Caribbean tax haven. "The general election is already well under way, so the referee needs to say whether the Tory team is playing by the rules. It's pointless showing the red card after the match is over."